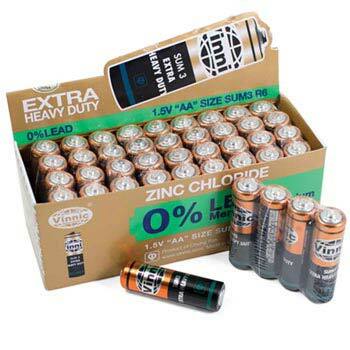 Chem Time Clock, Shakhashiri: Educational Innovations, Inc.
AA Extra Heavy Duty carbon-zinc batteries. Sold in packs or cases. Our unique Chem Time Clock replaces the usual clock numbers with symbols of elements having corresponding atomic numbers. "H" replaces "1", "He" replaces "2", etc. The idea for this clock came from Prof. Bassam Shakhashiri at the University of Wisconsin, who asked Ron Perkins to make one in the summer of 1983. 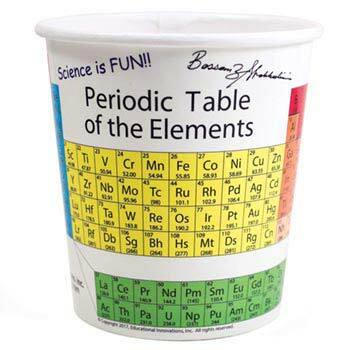 It is the perfect addition to a science classroom. (Requires 1 AA Battery - not included.) 13" diameter. Attractive green border. The clocks make the best present to give to student teachers as they finish their teaching experience. I bought the two clocks to give to my two student teachers in chemistry. The idea of having the clock in the classroom with the chemical elments listed, just made me happy. Both of the future teachers seemed thrilled as well. This clock is a great addition to my room! My students have really enjoyed this clock. It was an attention getter from the first day. They like knowing the "code" to read the dial and have told all the other students about the secret! Chem Time Clock is awesome. I love it. 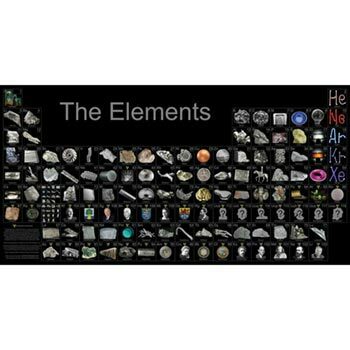 The kids will hopefully learn the first 24 elements of the Periodic Table, atomic number at least. I have gotten a lot of complements on it as well. Thanks. This makes the best present for a chemistry teacher. It usually takes the students several weeks of staring at it before they get it. I love that it is a 2400 clock. My clock is hanging up in my 8th grade science classroom. I love hearing my students say, "Oh, I get it, it goes by atomic number!" I bought the elements clock to give to my chemistry student teacher. Hopefully she will enjoy having it in her new classroom as much I did having a similar clock in my classroom. The Best & The Original Authentic Chemistry Clock! I bought this as a gift for my wife who is a Chemist. She was actually given this Chemistry Clock by the administrator at The Linus Pauling Institute at Oregon State University where she got her Master of Science degree in Chemistry. She hangs this clock in our kitchen and one day it fell and the glass front shattered. This is the only place to buy the original authentic Chemistry Clock and not some cheap knock off. She loves it! Her old one still works but lacks a glass front so she will use that one at her office and hang the new one in her kitchen. 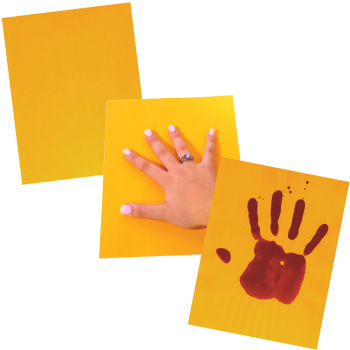 Thank you Educational Innovations, Inc for carrying an authentic and awesome product!! !, it is greatly appreciated. Economy Shipping was fast and the product was boxed in an outstanding way that shows care and concern to maintain integrity. This is the 2nd Chem. clock I've had - the first one fell off the wall and the glass broke. My students always love it and have learned to tell time by where the hands are, not just the digital time-display they are used to. They learn the 1st 24 elements/symbols without even knowing it. Fun for all of us. Great way to get students attention and have them get the connection with the atomic numbers of elements and their placement on the clock. Always gives me a chance to review when someone says they cant read the clock. The Chem Time Clock in my den is a great conversational piece. I just wish it was offered in other colors. 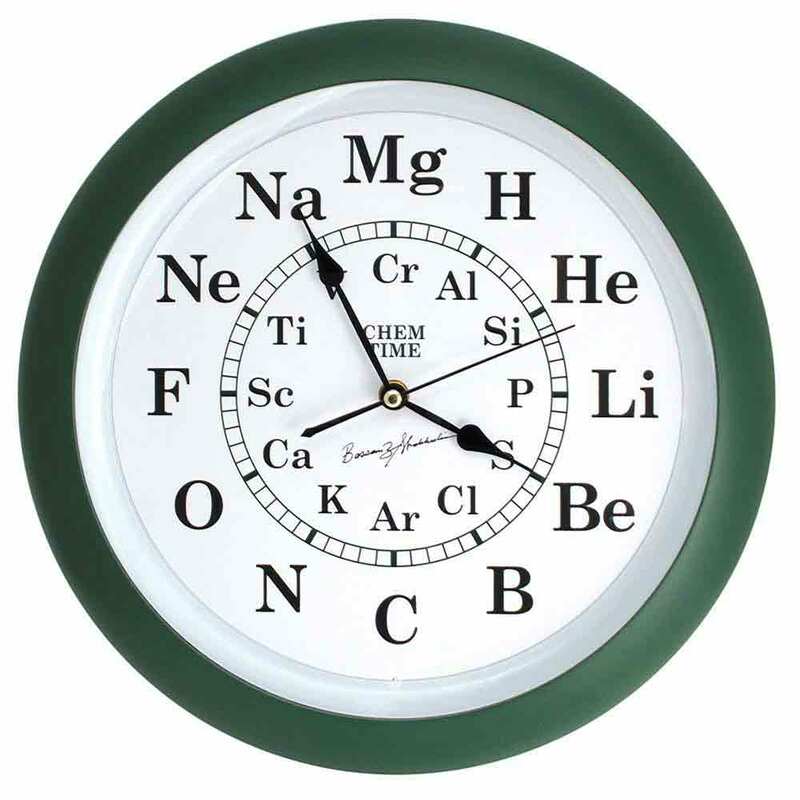 I saw this clock at http://www.geekalerts.com/chem-time-clock/ and knew that my wife (a chemist) would love it. It's larger than I expected, and much higher quality than the cheap knockoffs you find on other sites. I love this clock, it adds educational entertainment to the classroom! This clock always gets a great response from students and parents. I love having the Chem Time Clock on my classroom wall. My 6th grade Earth Science students are not required to know the chemical symbols, but the clock helps them become familiar with some of them. Many of them hate trying to tell time on it, but I think that is mostly due to their preference for a digital clock. I am glad I purchased it for my classroom! This is the only clock in my room and it takes students a while to figure out why the elements are where they are on the clock. I often tell the time in terms of the elements. I've had this clock for years and it never fails to elicit an emotion from time seekers of all ages. I have it hanging in my classroom and we make jokes like "You can go at half past Helium!" Students can use the Chem Time Clock to learn the value of the elements as they plan and conduct an investigation to describe and classify different kinds of materials by their observable properties. 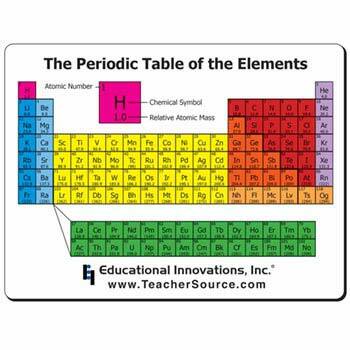 Students can use the Chem Time Clock to learn the value of the elements as they develop a model to describe that matter is made of particles too small to be seen. Students can use the Chem Time Clock to remember the value of the elements as they develop models to describe the atomic composition of simple molecules and extended structures. Substances are made from different types of atoms, which combine with one another in various ways. Atoms for molecules that range in size from two to thousands of atoms. Students can use the Chem Time Clock to reference the Periodic Table as a model to predict the relative properties of elements based on the patterns of electrons in the outermost energy level of atoms. DCI-HS/PS1.A: Structure and Properties of Matter. Students can use the Chem Time Clock in a fun way to reference the Periodic Table. The 24 numbers found on the face of a clock are replaced with symbols of elements having the corresponding atomic numbers. 'H' replaces '1', 'He' replaces '2', etc.